24-Hour Plumber, but how do you call them? You can never know when you will encounter with a plumbing emergency. The need for a plumber can occur in the middle of the night or on holiday with a wet, lousy surprise. Of course, you will want to solve the problem as soon as possible after all who can wait until the next workday while there is a waterfall in their bathroom. Fortunately, there are plumbers that you can call 24 hours, which is called a 24-hour plumber. But don’t forget that they can charge you heavily for their service. So, before you call a 24-hour plumber service, you better follow these steps we are giving below, you can lower the cost of the service, or you might even find that your plumbing problem can be put on hold until the next workday. What to do before you call the 24-Hour Plumber? First of all, check the situation in your house. Check if your problem is local or affecting the whole house. For overflown drainages and toilet test other drains in the house. And of course for faucets that are not working check all other taps and flushes. This part might sound like needless to say to you since it is common sense, but it is normal to forget in the panic of a plumbing emergency. In some cases, you might see that multiple fixtures in your house have the same problem -maybe in different degrees- but not all. Or you might find wet areas on your walls while you have a water outage. This kind of details will be important to remember in the later steps, and you should know them before calling the 24-Hour Plumber. Secondly, you should cut the water. This precaution is vital to avoid having more damage to your property. If you have a localized problem like a specific faucet or toilet malfunction, you can try to find a way to turn off the water only for that area. Most modern plumbings have localized water valves you can find around. If you have seen such a valve shut that valve off, and check if the water in the area with the problem is still running. However, your house might be miss that kind of valves at least for the area that you have the issues, or maybe the valve you have might be broken as well, it might be stuck too. In that case, you should cut the house’s main water. This way is much safer to be sure, just in case if you have any other water leakage somewhere you don’t know yet. You can find that main valve where your house’s water meter is located. Just shut off that valve and while you are still there check your water meter to be sure that you indeed cut the water. 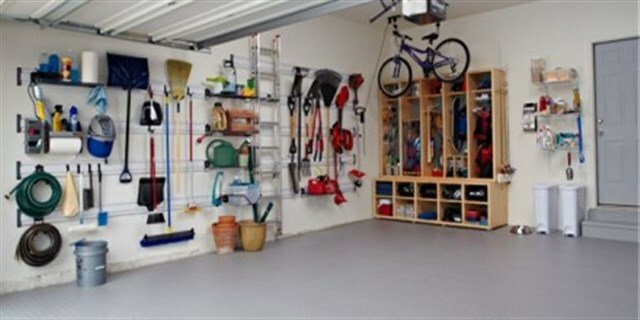 You may also want to read this: How To Organizing House? 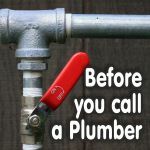 Even when the problem itself is a water outage or a water shortage, it is safer to close your valves before doing anything else or calling your 24-Hour Plumber. Because sometimes during repair some dirt or rust can come through your pipes and those can ruin your faucets and other plumbing fixtures. Of course, the ultimate cost will be much higher in that case. Trust me; this one happened to me personally. After you cut the water, decide how urgently you need a 24-Hour Plumber for that repair. I know, of course, you want to solve the problem as soon as possible, but as we said before, most of the time it will cost you more than its worth. If your problem was something like a leaking fixture, a clogged sink or a clogged toilet, with the water turned off, the repair can wait for the next workday. For fixtures and sinks, if you turned off the water only locally, probably you could use another sink in the house during this period. Even if you closed the main water valve, you can always fill some bottles and use sinks as long as their drainages are working. However, an overflown toilet can be difficult to tolerate if you don’t have a second toilet in your house. At least turning off the water should make the overflowing stop for a while since you cannot flush without water. Still, if you only have a day or just a night until Monday, you can wait a bit and save some money. So, don’t panic and call a 24-Hour Plumber right away, instead of paying unnecessary extras, wait and assess your situation first. After you checked the situation, it is important to remember that it is not always your responsibility to repair the problem. For example, overflowing drainages or toilets can be caused by a sewer blockage. Or a water outage can be a result of a broken main water line. In those cases, your local sewer service division or your water service company might be responsible for the costs. Before calling anybody else, call your local authorities and tell them about your situation. In some urgent cases, the water service company can offer a 24-Hour Plumber Service which they cover for you. Also, when you call these authorities, they might inform you if they are aware of the problem and if they are already working on it, which will save you from a lot of trouble and spending money yourself. You may also want to read this related article: How Can I Plan My Bathroom? 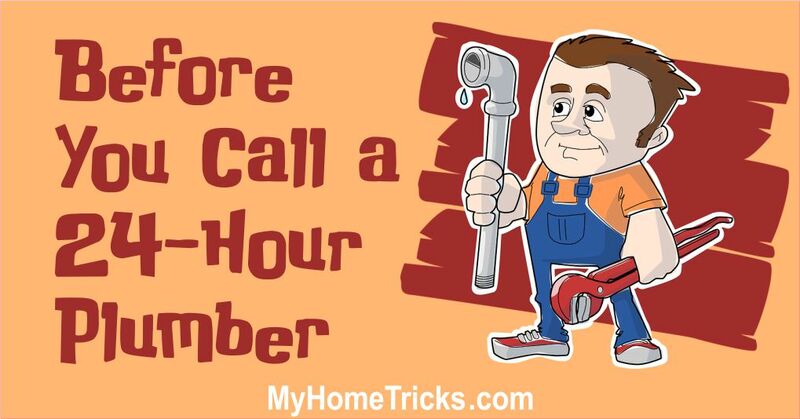 When you call a plumber, tell them about your problem in details and tell them about your findings we talked about at the beginning specifically. 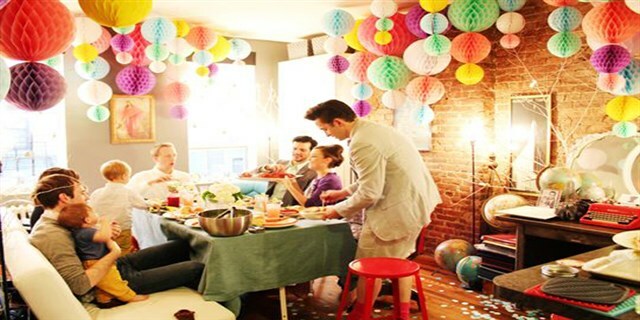 Those details will be necessary for getting an accurate quote and eliminate the surprise costs as much as possible. But, do not give the job to the first plumber you call. Before making an actual schedule, call other 24-hour plumbers and get their quotes as well. Usually, all of them will be more expensive than their standard services, but you will see that for the same premium off-time service some plumbers don’t charge as much as others while some charge more than others. The price differences can be shocking. You will see. You would feel like some of them are trying to rip you off in your emergency. Don’t forget to ask their minimum service fees and the repair cost separately. 24-hour plumbers will charge you a certain fee just for coming to your house in their off-time, regardless of the size of the problem. The repair cost will be added to this minimum fee. Also, asking estimate of the repair cost is important too. In short, don’t assume that the initial quote is the all you will pay. Your 24-hour plumber service might surprise you in the bill. 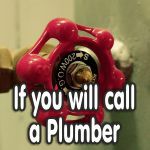 And of course, if your plumbers don’t answer their phone calls themselves, ask to speak a plumber about your problem instead of a call-service employee. Nothing against those people, but most of the time they won’t be able to assess your needs on your call, and you will still need to wait for the plumber to come to your house to get a professional idea. Okay, I think you are ready now. Examine your problem’s status and make your calls. Or keep these tips in your mind for your future plumbing emergencies about a 24-hour plumber.